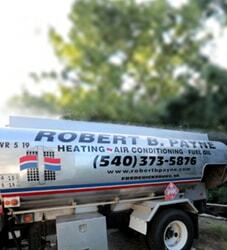 Geothermal Cooling Services Fredericksburg and Surrounding Areas | Robert B. Payne, Inc. In heating and cooling your home, there are always options to minimize the cost of your bills each month. You can save a little here and there by making small changes, which may include using sunlight more often in window-filled rooms, or even replacing the seals on the doors of your home. Whatever the change though, it is minimal compared to the money saved when you invest in geothermal heating and cooling. Specifically, when homeowners invest in geothermal cooling, they significantly decrease their monthly utility bills because this process is so energy efficient. Water in a heat pump collects and combines with warm air drawn from the home. That heated water pumps through underground pipes, usually installed about 20 feet deep. Beneath the surface of the earth, the temperature usually remains at about 60 degrees year-round. So, the heated water is pumped into the pipes underground and then is pumped back up once it is cooled by that consistent temperature. This cooled water is converted into air which cools the home. When it comes to geothermal cooling, the remaining questions customers tend to have – after asking how it all works – is how much it will cost. 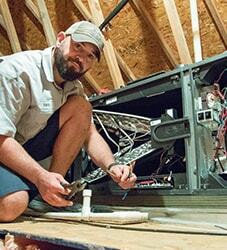 Installation of this system can depend on the size of your home; if you’re using a lot of heating and cooling regularly, the stronger your underground system needs to be. In short, homeowners can expect the installation of geothermal cooling can cost up to $25,000. However, this cost upfront dramatically decreases the cost of bills later on down the road. Although these seem like no-brainers, sometimes they get missed. Problems can be avoided if these checks are performed regularly. 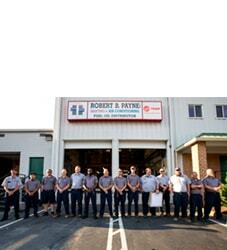 If you choose to have Robert B. Payne, Inc. install the system for you, you can actually schedule regular check-ups on your unit. Scheduling maintenance checks upfront prevents a headache later on. The advantages of geothermal heating and geothermal cooling are one and the same. Geothermal cooling systems use the heat below the Earth’s surface, so it is consistent, environmentally-friendly, and most importantly, economical. As you know, the summers in Fredericksburg can be hot and humid, so reliable air conditioning for your home or business is crucial to your comfort. The experts at Robert B. Payne, Inc. have years of experience installing and maintaining geothermal heating and cooling systems, and our friendly team can help you decide if this exciting technology is right for you. 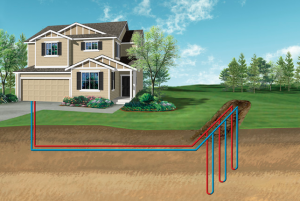 Geothermal cooling is when the heat inside your home is removed by the geothermal system and brought to its underground tubes/pipes. The heat makes its way through the tubes and is cooled by the soil and rocks beneath the Earth’s surface. The then-cooled fluid returns to your home or business and absorbs more heat, over and over again. Geothermal systems can heat and cool your home or office because the heat pump can change the flow of the water (or other fluid), bringing heat into or out of a building. Geothermal cooling uses all the same components as geothermal heating, so you won’t need to install any additional parts to your geothermal system. If you ensure that your geothermal cooling system is serviced and maintained regularly, you’re ensuring years of lowered utility bills. You’re guaranteeing that your home’s cooling system isn’t going to hurt your wallet every month. And in implementing geothermal cooling, you’re using an extremely energy-efficient way to steady the temps in your home. For more information or for full installation of your geothermal cooling system, contact Robert B. Payne, Inc. at (540) 373-5876 today! We’re ready to help you save.